One day you’re a man who sells liquor on the main streets of New Jersey, tomorrow you’re someone who stands in the ring for fifteen rounds to fight with Mohammad Ali. Yes, the real-life inspiration for Sylvester Stallone’s ROCKY BALBOA. Indeed, any dream can come true and Chuck Wepner’s life is prove to that… But remember, every dream has an expiration date… and it all depends on the individual who is in charge of that particular dream or his ability to control it…. We already learn that Chuck has a rocky relationship with his wife Phyllis Wepner, a woman whose patience knew no boundaries, until he helps her to cross that. With the help of Liev Schreiber and Elizabeth Moss’ performance, you will realize the two were never meant for each other or it was just bad timing for both them. When Chuck becomes the New Jersey champion, Mohammad Ali expresses his desire to fight with a white man… it happens that it was Chuck Wepner who was the only white man in top ten list, and most qualified to share the same boxing ring with the legendary Ali. CHUCK is a truly outstanding movie with an excellent storytelling and worthwhile seeing biopic about a man who learns the hard way that when you reach rock bottom, there is only one way – up. 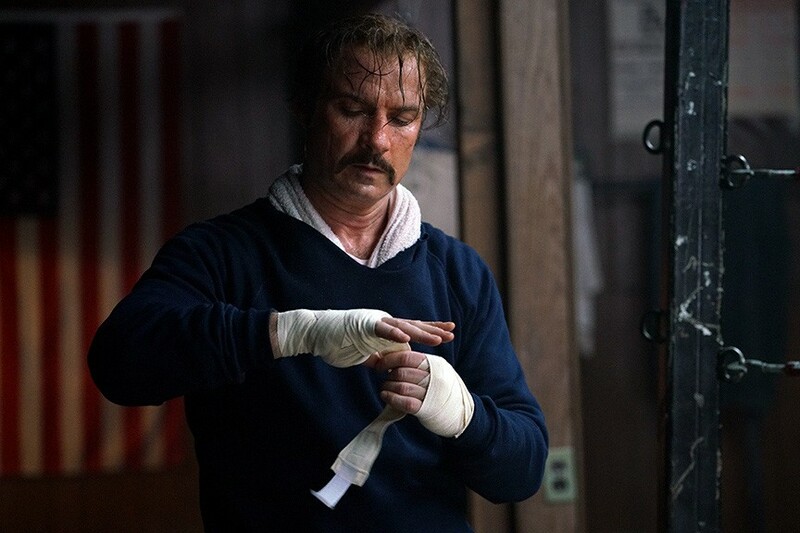 Convincing performance from Liev Schreiber helps you to study Chuck Wepner’s persona in the best way possible. Elizabeth Moss’ most nuanced performance is applaudable. Naomi Watts as Linda Wepner delivers an honest and down to Earth performance where you will truly fall in love with her character. In the end, CHUCK is a film which deserves every minute of your time, if not more. It’s well executed and has not even a single scene to complain about. And I am sure, you won’t either no matter how harsh you can be as a viewer….